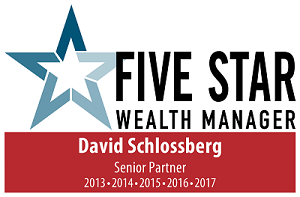 David is a REGISTERED FINANCIAL CONSULTANT™ professional (RFC™), Certified Estate Planner, Certified 401(k) Professional™ (C[k]P™), a member of the Society of Senior Advisors, and a registered Charitable Emissary for the National Community Foundation. He was also conferred the Accredited Investment Fiduciary™ (AIF™) designation by Fi360, and The Center for Fiduciary Studies. The RFC designation is awarded to financial advisors who meet high standards of education, experience, and integrity. In addition, designees must agree to devote a minimum of forty (40) hours per year to continuing professional education in the field of personal finance and professional practice management. The C(k)P designation requires 140 hours of retirement plan coursework and passing of a final exam as administered through The Retirement Advisor University and The Anderson School of Business at UCLA. David is an Enrolled Agent with the Internal Revenue Service. An enrolled agent is a person who has earned the privilege of representing taxpayers before the Internal Revenue Service by either passing a three-part comprehensive IRS test covering individual and business tax returns, or through experience as a former IRS employee. Enrolled agent status is the highest credential the IRS awards. Individuals who obtain this elite status must adhere to ethical standards and complete 72 hours of continuing education courses every three years. Enrolled agents, like attorneys and certified public accountants (CPAs), have unlimited practice rights. This means they are unrestricted as to which taxpayers they can represent, what types of tax matters they can handle, and which IRS offices they can represent clients before. Learn more about enrolled agents in Treasury Department Circular 230 (PDF). David founded Assured Concepts Group, Ltd. to assist families in identifying with a financial vision and creating comprehensive direction on how best to accomplish their goals. With 37 years of financial services experience, his clientele has expanded from the Chicago area to include clients all across the nation, from Virginia to California. 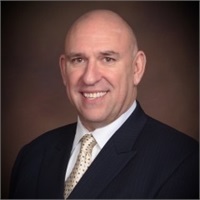 He lectures on a regular basis on financial matters at various universities and is a frequent guest speaker for various groups such as the National Republican Committee, National Association of Retired Federal Employees, and the Senior Advisor Expo. He has been asked to be a featured contributor and author on several articles that have been published in the newspapers such as The Wall Street Journal, major magazines such as BusinessWeek, as well as industry publications. He believes in service and actively donates his time and professional talents to charities close to his heart. As the father of a son with muscular dystrophy, he is passionate about the work done by Parent Project MD (www.parentprojectmd.org) and Canine Companions For Independence (www.cci.org). To help his clients incorporate philanthropy into his financial strategies, David donates 20% of all financial planning fees to the charity of his clients choice. He is a Registered Representative and Investment Advisor Representative offering securities through FSIC. Member FINRA/SIPC, and has a Series 6, 7, 63, and 66 registrations. In addition, he is licensed in Life, Health, and Long-Term Care Insurance.